Letters is a free graphic design app for Mac. 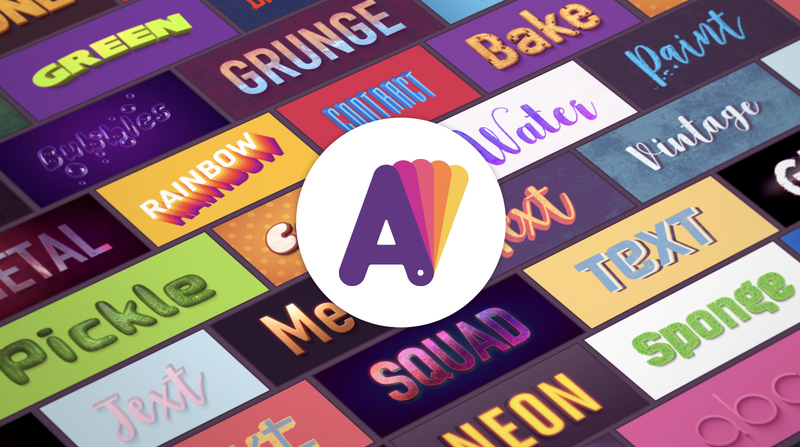 Providing hundreds of text design templates, Letters helps anyone feel like a graphic designer by creating stylish text designs in seconds. Every template includes beautifully-stylized text with a unique texture and background. A wide range of seamless photo-realistic textures sets Letters apart from other text design apps. Users of the app include small businesses producing their own promotional graphics, pro designers that are looking for a quick solution, and social media content creators who need fresh, new graphics on a daily basis for Facebook and Twitter covers, YouTube channel art, YouTube thumbnails, and Instagram posts. Users can experiment with template colors, while preserving the style color scheme, and change text or background color separately, replace background images, and set any document size. Text settings allow users to change the font easily, adjust color, control geometry (chamfer, thickness, depth, and perspective), apply shadow and glow, and tune lighting. All the textures are seamless and scalable. Letters allows anyone, from average computer users to graphic design pros, to fulfill their text design dreams and make beautiful texts available for everyone. Download Letters today for free and make your text designs stand out from the crowd. Our thanks to Letters for sponsoring MacStories this week.